The University of Plymouth’s world-leading research into the causes and effects of microplastics has been named as one of the UK’s 100 best university breakthroughs. 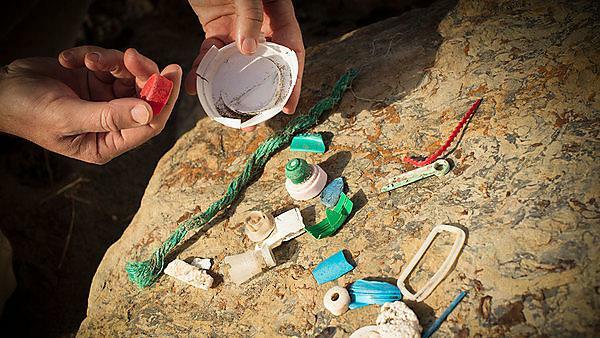 The award-winning work of Professor Richard Thompson OBE and the International Marine Litter Research Unit is included in a new list compiled by Universities UK, the umbrella group for UK universities. It has been launched as part of the national MadeAtUni campaign, which aims to change public perceptions of universities and bring to life the difference they make to people, lives and communities across the UK. Professor Thompson was the first scientist to coin the term microplastics in a seminal research paper published in Science in 2004, and along with other academics and students at the university has since been involved in dozens of research publications which have raised the profile of plastic pollution in our oceans. The Unit has worked with global governmental and non-governmental organisations and its work has directly influenced international policy, including the recent UK ban on microbeads on cosmetics. Along with colleagues from the University of Exeter and Plymouth Marine Laboratory, Professor Thompson won the Societal Impact category and overall prize in the Natural Environment Research Council’s (NERC) 2018 Impact Awards. In the week we received the NERC Impact Awards, this is more fantastic recognition of our work. Since we started working on plastics almost two decades ago, our work has been all about achieving scientific breakthroughs which are the catalyst for lasting societal change. Being recognised by Universities UK in this way is further demonstration that our efforts are impacting locally, nationally and internationally. The MadeAtUni campaign demonstrates how UK universities are at the forefront of some of the world’s most important discoveries, innovations and social initiatives. It also highlights the less celebrated breakthroughs that transform lives. Universities really do transform lives. The technology we use every day, the medicines that save lives, the teachers who inspire – all come from UK universities and the important work being done by academics. The UK’s Best Breakthroughs list is a testament to the difference that universities make to people’s lives and we want everyone to join us in celebrating the work they do.